By Adrienne Rivera. Oct 2, 2018. 9:00 AM. The Hunt for Red October by Tom Clancy is an an extremely important book in the world of popular fiction for many reasons. Clancy's debut novel performed way beyond the expectations of publisher Naval Institute Press, earning an unexpected paperback edition and securing Clancy a spot as one of America's best-selling authors. With The Hunt for Red October, a publishing superstar was born. The 1984 novel has stood the test of time and is widely considered one of the best depictions of Cold War-era feelings and politics in the thriller genre. Let's take a look at some of the reasons why this book continues to be such a success over 30 years after its initial release. 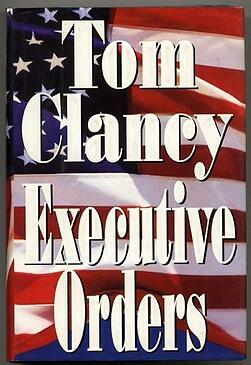 Tom Clancy was born in Maryland in 1947. He received a degree in English literature from Loyola College, now Loyola University. He attempted to join the Army Reserve Officers Training Corps but was deemed unable to serve due to severe nearsightedness. After graduation, he began working for an insurance company, which he eventually purchased. Clancy wrote novels as a hobby. He began working on The Hunt for Red October in 1982. The book took only four months to complete and was accepted for publication by Naval Institute Press in 1984. The Press recognized that the book was going to be a hit, and they knew they needed to take the plunge and accept an unknown author. 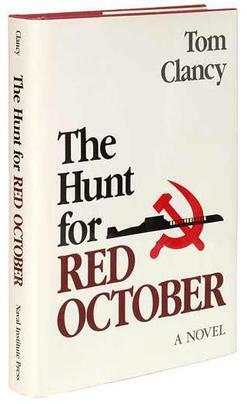 The Hunt for Red October was the publisher's first venture into fiction and was only slated for a single hardback release. Clancy's hope was that the book would sell 5,000 copies but after heavy promotion and marketing toward military personnel and after President Ronald Reagan publicly stated that he'd received the book for Christmas and had enjoyed it, the book ended up selling over 345,000 copies and became a New York Times best seller. After being released in paperback, it went on to sell more than four million additional copies, and Clancy was a star. He went on to publish over 20 more books during his lifetime, 17 of them topping best seller lists. His works were adapted into film, television shows, and video games. He passed away in 2013 and is widely considered to be one of the most important thriller writers in modern times. The Hunt for Red October centers around a Soviet soldier's attempt to defect to the U.S., bringing with him extremely valuable sonar technology. Clancy's book included a remarkable amount of true technological and military detail that at the time caused many people to believe that Clancy had access to top secret military documents from which he drew inspiration. Some even thought that perhaps the events depicted in the story were actually 100% true and were only being disguised as fiction for the American public. But Clancy did not have access to any such documents. He was inspired more by an intense interest in the military. His details came from books like Norman Polmar's Guide to the Soviet Navy and from interviewing former submariners and other members of the armed forces. In fact, he included so many real, technical details that his editors actually ended up cutting over one hundred pages just of technical details to allow the book to focus more on plot and character development for protagonist Jack Ryan. One of the most important things about The Hunt for Red October is that it introduces the character of CIA operative Jack Ryan. Ryan is one of the most popular thriller heroes, and his character ushered in a new era of thriller protagonists who do not only rely on brute force to solve issues, but instead used a wide breadth of knowledge. Clancy wrote thirteen books starring Ryan, and after the author's death, the series is being continued by Mark Greaney, who has served as Clancy's co-writer for the Ryan books since 2011's Locked On. The Hunt for Red October was adapted into a film starring Sean Connery and Alec Baldwin in 1990, a timely release as the Cold War had ended only months before. The film was the sixth highest grossing movie released that year. Since then, many more of Clancy's books have been adapted into film and television, the most recent being an Amazon series starring John Krasinski as Jack Ryan. The Hunt for Red October was also adapted three times into video games. The book is considered to be one of the very first techno-thrillers and is credited with popularizing the genre. PBS has named it one of the 100 most-loved books in America.